Looking For More Cold Air? Spring is in full swing, and it won't be long until those sticky, sweaty summer months are here. Is you car's air conditioner ready? When your wife and kids are demanding colder climates to offset the summer heat, it's time to ensure that A/C is performing at maximum potential! So, what can you do to ensure an icy car ride? Let's look at this from a couple different perspectives. Your car's A/C has recently been serviced, so you know it's working properly. In this case, you just want colder air. Here's the plan: if the air outside of your vehicle is dry, set your car to it's 'Fresh Air' setting. This will bring in air from the outside, and allow the A/C to cool to hot, dry air efficiently. If it's hot and sticky outside, set your A/C to 'Recirculate'. In this setting, it will simply continue to reuse the existing air in the car and help to avoid extra-humid conditions within your car. You don't actually know what's wrong. If your Air Conditioner isn't blowing cold air, it's most likely due to wear and tear. 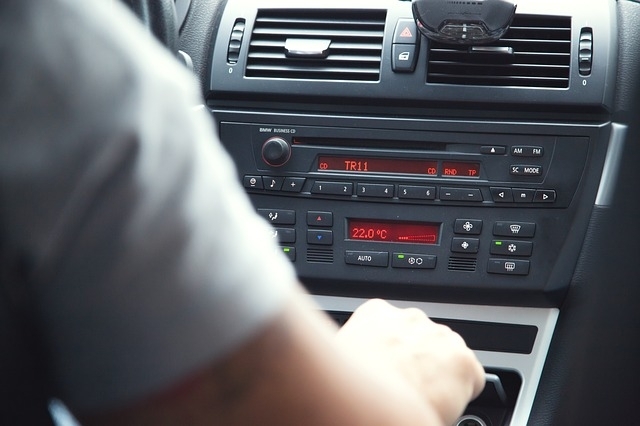 Just like everything else on your vehicle, the A/C system can get old in a hurry. The refrigerant is the main factor in determining your A/C temperature. As this refrigerant begins to wear out, your system becomes less efficient at turning the liquid into a gas. This gas is what makes the air cold. In this situation, you can take your car to a specialist to have the refrigerant replaced. Aside from your refrigerant, the compressor is usually the next trouble spot. As the main component in your car's A/C system, the compressor's job is to compress and transfer the refrigerant gas. If you're the Do-It-Yourself type, buy and install your own compressor. You'll not only save money, but you will instantly notice improvement to your A/C system. If you're having trouble staying cool behind the wheel, don't wait until you reach the boiling point. Try these tips and tricks, or give us a call at 519-338-2017 today!